And throw it back 2 days shy of 2 years and I was hypothermic doing this in a blizzard! I was psyched to be able to share the climb with Jack, one of the first students I’ve had at Holderness who really got psyched for climbing. 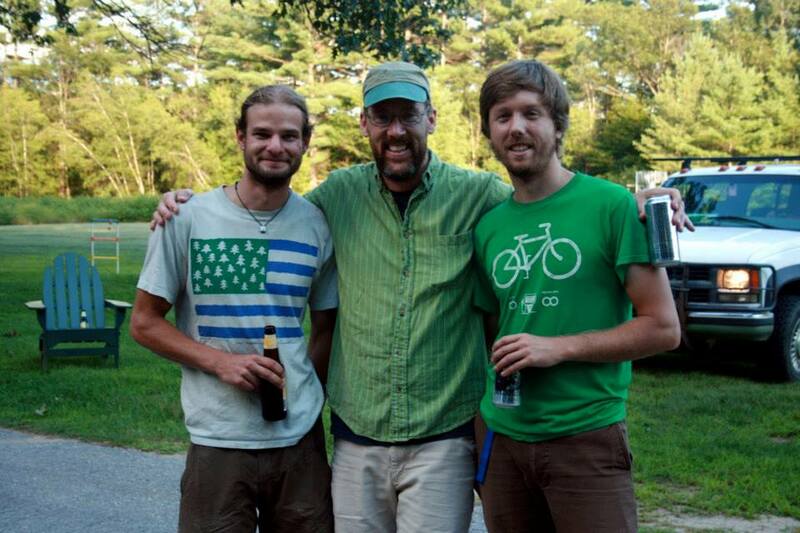 Getting to link up with those students after their holderness career is a pretty exceptional feeling. 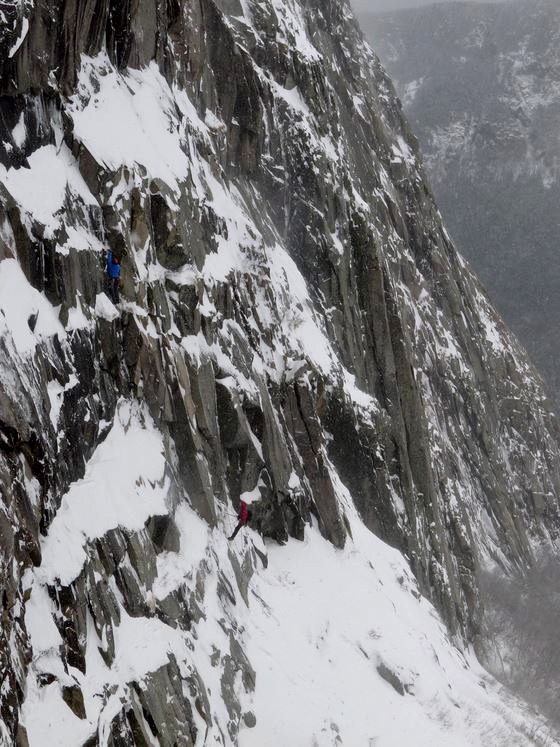 This entry was posted in Commentary and tagged Black Dike, Cannon Cliff, Erik Thatcher, Jack Vatcher, New Hampshire Climbing, Whitney Gilman Ridge on November 10, 2015 by ethatcher89. In the past week there have been a lot of discussions regarding this incident. Most of those espousing a certain position or feeling about the incident are filling in a lot of gaps in the story with assumptions. The general consensus from the the coffee shop quarterbacks is that she was reckless and negligent, one such individual I overheard even compared her to Guy Waterman who went out in similar conditions with the goal of committing suicide. When some one dies in an incident like this it is all to easy for the assumptions we make to be ones that explain her death, and why the one passing judgment would not have died in a similar situation. It’s part of our human complex that makes us feel invincible, and we fill in the gaps of the story in such a way that explains to ourselves why this wouldn’t happen to us. I wanted to frame her decision making process in a couple of ways that reflect how we all take risks in the mountains. In doing so I’m making the opposite assumptions of so many, that she was reasonably experienced and knew what she was getting her self into. They are still assumptions, and serve more to illustrate mountain decision making than to truly justify the decisions she made in particular. The first thing that is important to understand is setting goals for a day in the mountains. So many go into the mountains with a singular goal. This leaves the margin for what one considers a successful day to be rather thin, which often pushes people past their own or the mountain conditions limits in order to achieve that success. Any basic mountain training should teach the lesson of setting multiple goals for a given day. This way there are many levels of success. 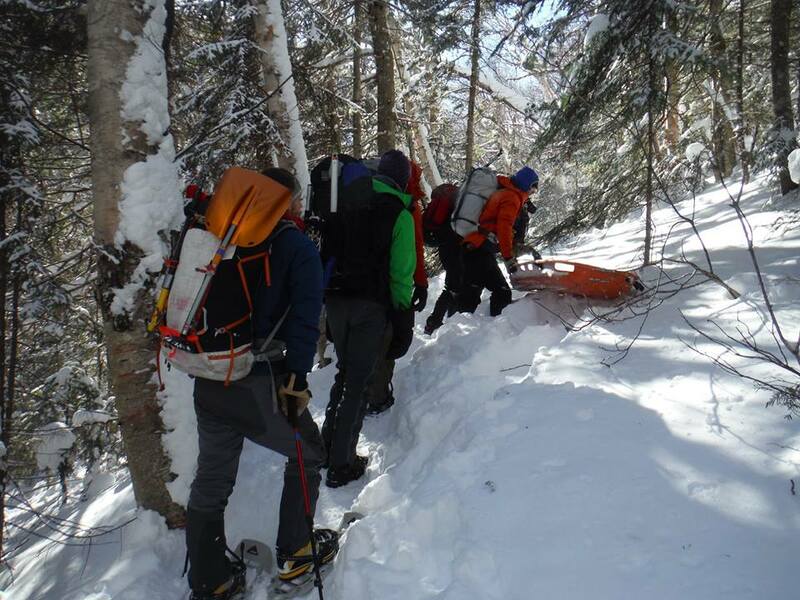 Certainly hitting the summit would be more success than hitting tree line, but if you orient your frame of reference so that hitting tree line is still some level of success, than you leave yourself more room to make the decision to turn back if conditions or your personal condition are not optimal for the summit. On the night that Kate was out struggling to stay alive I was writing about this very lesson on the Mooney Mountain Guides blog. Not long after writing it I got the call from AVSAR to report for the search the next morning if at all possible. A lot of folks can’t understand Kate’s goal of doing an arduous above tree-line hike with the given forecast. A lot of us live here, have found the limit of wind speeds we find acceptable and know that there’s always next weekend to try again. Kate likely planned this day far in advanced, was on a vacation from NYC that could’ve ben a rare thing for her, and may not have had another chance to try this in a while. I think in similar situations many of us would’ve gone for it, even if deep down we knew that we would most likely be turning back. 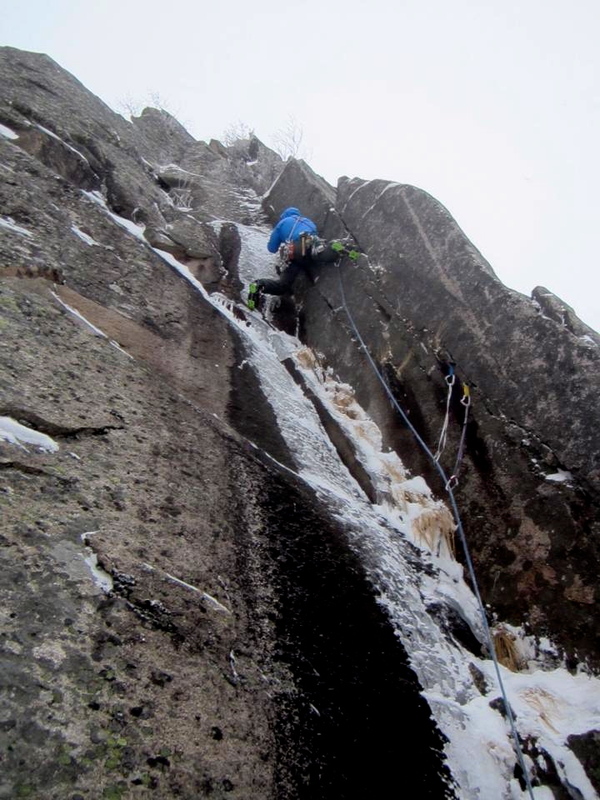 Hopefully, most of us would have had a trip plan in place that included multiple scenarios for success, short of the full traverse, that would have made it easier to bail in harsh conditions. Most of us will not know for sure if Kate took these precautions, or if she truly thought she was going all the way that day. However, her GPS indicates that she was reversing course and returning to tree line when calamity befell her. In my mind we should be giving her the benefit of the doubt, instead of assuming she was being irresponsible because she died, we should put our selves in her shoes and try to be sympathetic and reflect on our near misses. The second thing I’ve been reflecting on is her personal level of preparedness. 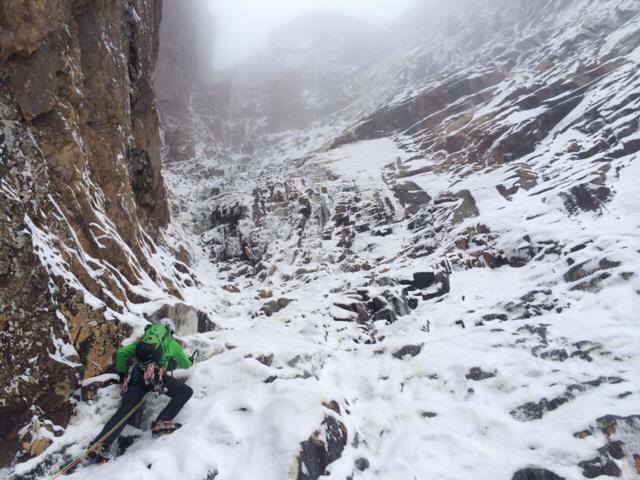 In hiking and mountaineering the layers of protection we have are more ambiguous than in technical roped climbing. There’s hiking solo versus with a partner, bringing enough bivy gear to be self reliant for a night, and brining the appropriate clothing layers for what ever weather you may experience. All of these add up to the greatest amount of protection, but on any given day we may weigh the risks and go up with out a partner or without bivy gear based on our own risk assessment. Finally there’s bringing communication in case all other measures fail and you need help. Kate’s kit was rather stripped down to the bare essentials. No partner, no bivy gear, and even relatively light on essential layers in my opinion. This in itself is no sin. What it means is that she was operating with no room for error. I think we can all relate to a moment where we’ve put our selves in similar situations, calculating the risks and finding them acceptable. Because she did so and paid for it, it is all to easy to say she was negligent, and not look at our own actions and feel lucky that this wasn’t us. If anything, it may be that she stripped away these layers of protection, with a false impression that her technology (Satellite phone, PLB, GPS) were building those layers of protection back up. In this terrain, that’s simply not the case. If she tried to use her SAT phone, it didn’t work, which to any one who’s used them before shouldn’t be all that surprising. Her PLB reported far more incorrect locations than it did correct, although we ultimately found her very near the first signal location. And it should’ve be realized that in these mountains rescue is hours or days away, while in those conditions death can be much more imminent. It was relayed to us that Kate had serious mountaineering experience. Rumors included time on Elbrus, Denali and Kilimanjaro. An assumption that I jumped too quickly was that she had been guided up these mountains. In that process she would have built up the necessary technical skills to summit these mountains, without the equally as important decision making skills that goes on behind the scenes. Whether this is true or not, the thought of it has caused me serious reflection on my role as a guide. 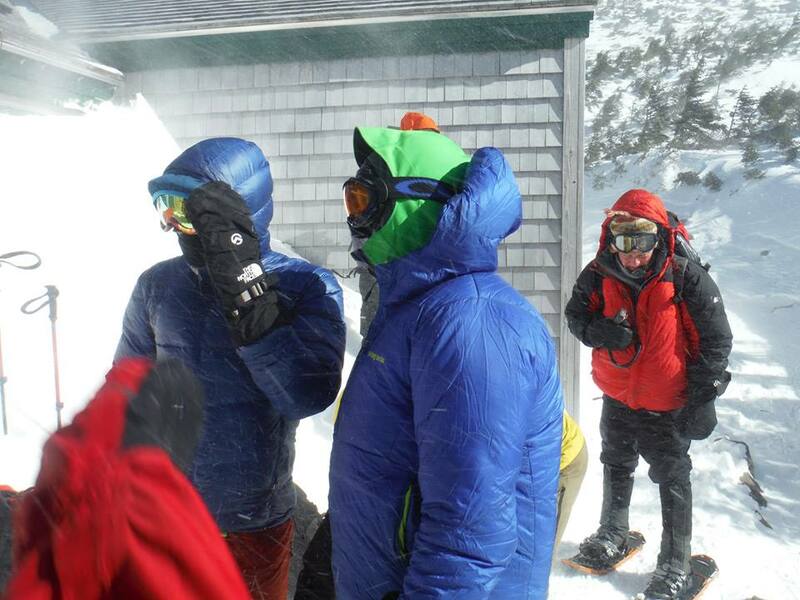 Our job is to enable our guests the greatest success we can on any given day, most of the time that means an ascent of Mt Washington. But in doing so we take on the whole load of safety precautions and decision making. Unfortunately I feel this shields our guests from the potential danger, and from the true skill that goes into climbing these mountains. 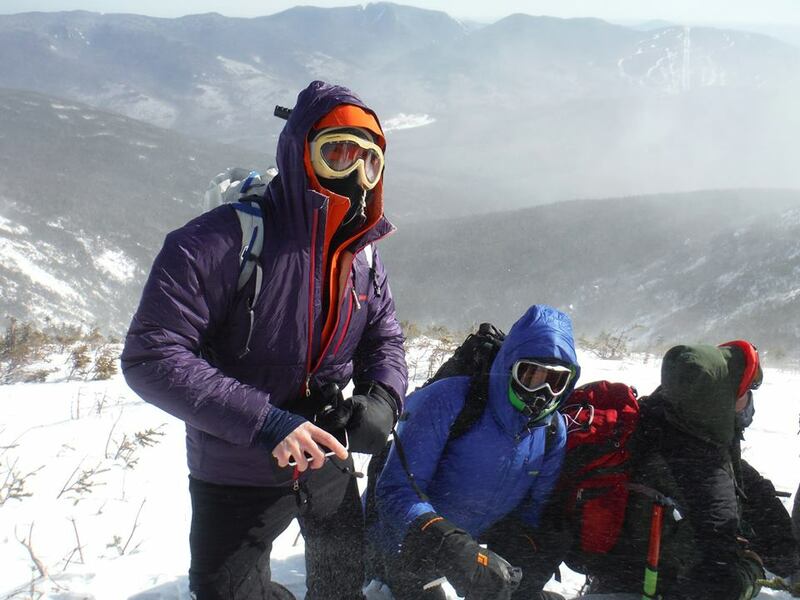 On a typical intro to mountaineering weekend we talk about what our guests should bring. The conversation is heavy on their own personal safety and comfort, but short on what we bring for group safety. Last weekend a guest was hesitant to bring a large puffy jacket as she’s never needed it before. I had to explain that it provided her a margin of safety in the case that some one was injured and our pace slowed. That would’ve been a great opportunity to talk about the bivy gear, emergency shelter and extra food and drink that I brought for the overall groups safety. Moving forward I feel the need to work this into our training, while balancing it with not making our guests feel like they aren’t carrying their weight. How do we illustrate the work they need to put in in order to do this on their own (first aid, trip planning, navigation, camping skills…), while at the same time celebrating and congratulating them for what they were able to accomplish under out guidance? 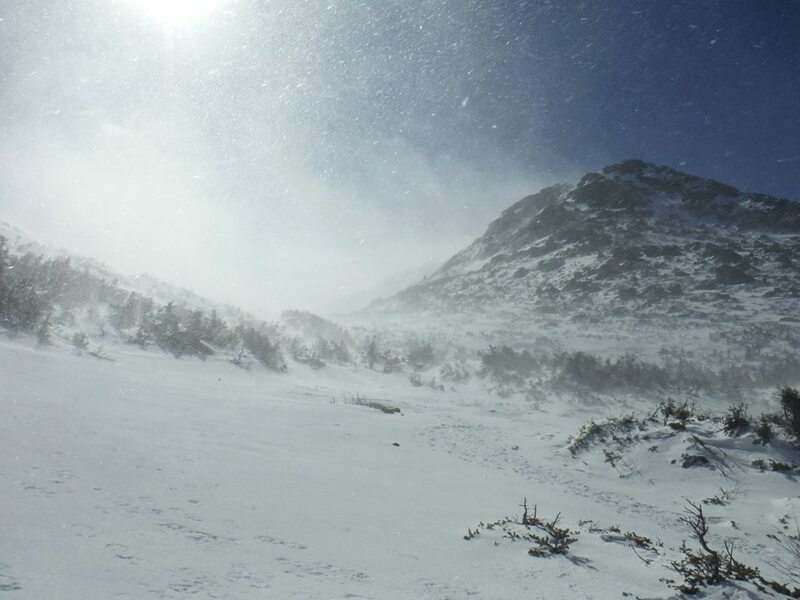 This entry was posted in Commentary and tagged Androscogin Valley Search and Rescue, AVSAR, Kate Matrosova, White Mountains on February 23, 2015 by ethatcher89. I had an interesting revelation while uploading all the photos I posted to this blog. your enjoyment on any given day of climbing is the sum of many parts. The act of climbing is the meat of it, or else you wouldn’t be there, right? But I think the most important supporting piece is who you are with. I’ve come to this conclusion before. I only want to spend time climbing with people that I want to generally spend time with, and I have turned down opportunities to climb in the past because they would involve people who’s company I didn’t enjoy. I realized this when trying to write the captions for many of the pictures. In every case, I could remember who was behind the lens, who I was climbing with that day even if they weren’t in the picture. I couldn’t always remember the name of the route, how the route climbed or what the crux moves where like. So which was more important to me? Last summer one of my main focuses was a well known route at Rumney called Predator. I can still remember the intricacies of every move, but more than that I like to think about the fun evenings I had working it with my friend Alexa after work. The shenanigans of working a route that starts a pitch off the ground, the stress of each day we both brought to the cliff and worked off together on the same route. Working it in the rain, and enjoying the view of the valley from the sit down rest. I remember the day I sent, going up with Tim Mijal who had an exceptional ability to help me send his first time belaying me on projects last summer. Watching Leesa on flying monkeys from the sit down rest and then the route feeling effortless. But even from that day, I think the fonder memory is of an evening with two climbing friends who weren’t even there, but who were extremely excited for me none the less. Sometimes I worry that climbing is an exceedingly selfish endeavor. The fact that my climbing memories are well balanced between the emotions of being on a climb, and the emotions of being with friends in their struggles and triumphs on the rock sets me at ease. This entry was posted in Commentary on May 7, 2014 by ethatcher89. You hear about people drinking to drown their sorrows, smoking to relax their stress, and the whole concept of psychadelics is to live, if only briefly, in an alternate reality. I’m attracted to climbing for the sheer joy of the activity, but it also fulfills all three of these needs for me. The high school I went to was an academically rigorous one in which your day from 8-10 was filled with school related responsibilities. It was the definition of stressful. 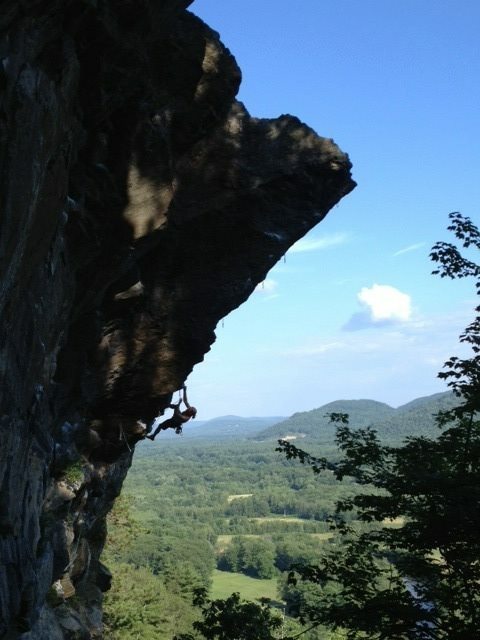 The 2-3 hours a day where the climbing team escaped to the cliffs of Rumney was just that, an escape. For those 3 hours we were living in an alternate reality, where all that mattered was climbing. The act its self is so mentally engaging (if you think about something else you fall), that it is a form of meditation. Your mind is focused on one singular activity, and the rest of the days stress, worries, and happenings ceased to exist. I find that its the times when I am stressed, sad, or cynical about the realities of this world that I need climbing the most, and it means the most to me. Conversely, its the times when I can’t climb for an extended period of time (5 days off is a long time for me!) that stress, sorrow and depression creep in. Climbing is simply fun. There’s no real way to describe the joy I get from various climbing activities, but I’ve never questioned that either. Climbing is fun for what it is, but it’s also fun for what it isn’t, and that realization is what I’m pondering here. Climbing as an escape. That week is over and a new one has begun. Hopefully the bender has served to balance, or at least, to move my life back towards the balance of work and play that was unsettled by the month off. Let’s face it, climbing isn’t reality; it doesn’t help others, it doesn’t feed you, and it doesn’t usually fulfill you’re intellectual needs as a curious human being. Climbing remains special in part for what it isn’t, which means you need to maintain the “isn’ts” of your life too. What that balance is for each of us I think varies from person to person as well as in time for each individual, but I’m adamant that it’s there. This entry was posted in Commentary and tagged climbing addiction, Climbing is my drug, Erik Thatcher on April 28, 2014 by ethatcher89.